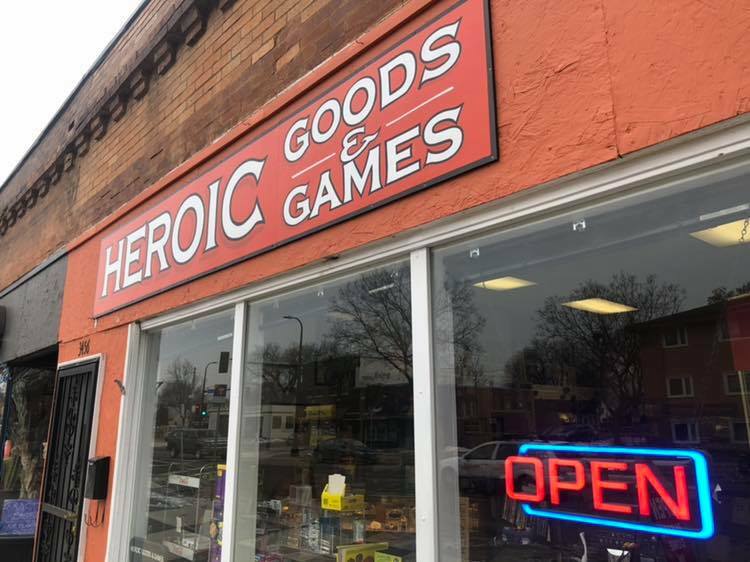 Minneapolis was hunkering down for its first below-zero weekend of the winter when I made the call to visit Heroic Goods and Games. The owner, Paul Zenisek, connected over Facebook, and we agreed that it would be the perfect time for an interview given Minnesotans’ hermitlike behavior on frigid weekends in the month of January. I first investigated the store after noticing it pop up in one of my Facebook feeds. I was intrigued by the social media strategy it employed, as it accomplished what most Facebook ads fail to do: physically bring me into a store. I was impressed by the product selection, which felt uniquely tailored to the local Minneapolis geek—brand-new board games, vintage trading cards, retro video games, Star Wars action figures (a personal favorite), and tons of odds and ends designed to your own unique passion. I browsed through the assortment and then met Zenisek for a brief chat to probe deeper into how he uses Facebook to get people in the doors and drive traffic to this unique store in the Longfellow neighborhood of Minneapolis. I was, first, overall struck by his personability. He made a point to stop our conversation frequently and greet every single person who walked through the door—a level of unique friendliness that instantly makes you feel welcome in his store. He knew the first names of many of his customers and offered up suggestions and recommendations to help people find what they were looking for. There’s something genuine about that, especially in this day and age when you are inundated by algorithmic suggestions and recommendations based on your purchase history. This human touch seemed to not only help people convert within the store but also make them feel great about walking out with something tailored to their individual interests—a combination that is hard to replicate with technology as it stands today. As we went deeper into how he brings people into his shop, I was also struck by how sophisticated it was. This comment also exhibits his continuous tracking behavior and monitoring to see what his fans enjoy. Throughout our conversation he instantly remembered examples that helped support his overall points. He had a set number of metrics that he optimized to and constantly pivoted his strategy based on these metrics. This was behavior that I noticed not only in Facebook but also in other platforms he leveraged to bring traffic into his store. For example, he invested in some cinema advertising locally, which has been highly successful for him—something he knows because he set up a unique discount code that was only available through this medium of advertising, so he could track new fans coming into the store. He clearly values the quantification of a like or someone engaging with Heroic Goods and Games so much so that he invested in a physical machine from Smiirl that sits above one of his shelves and connects to Facebook, dynamically updating when someone likes the store’s page. Zenisek told me that the machine essentially paid for itself, as he was able to grow his organic reach just from the novelty of the device. We continued to discuss his strategy, and we got into how he selects his content. Generally, he employs a lighthearted tone to get his fans to engage and have fun with his content. He doesn’t plan out his posts, though, or think about certain days or times of the year that he ultimately needs to post. He traditionally sticks to one post a day and tries to make it topical to what’s going on culturally albeit nationally or locally. One of the posts that stuck out to me was a recent one about Netflix’s current cultural force, Tidying Up with Marie Kondo—Zenisek used this theme to tell people about his trade-in policy. This further shows his intelligence tying his existing business model to something that is happening in culture at that moment. According to Today, thrift stores across the nation are seeing an off-trend uptick in donations due to this show’s recent popularity. Zenisek smartly played off this same national interest to get people into his store to trade in goods, something of the utmost importance to someone who cultivates a majority of his stock through trade-ins. Create a lab environment. Fail fast and early. You can learn from your mistakes and make better content over time. Identify your metrics, and track, track, track. To create a lab environment you need to know what’s doing well and what’s not. Paul constantly monitors what’s happening on Facebook and adjusting. Boost what’s doing well. Identify what’s doing well early and have a marketing budget that you can use to pay to get incremental eyeballs on the content. Be culturally relevant. Paul’s posts constantly balance the national zeitgeist with local happenings. By the end of our talk, Heroic Goods was full of local geeks investing in board games and various activities to hunker down for the weekend. 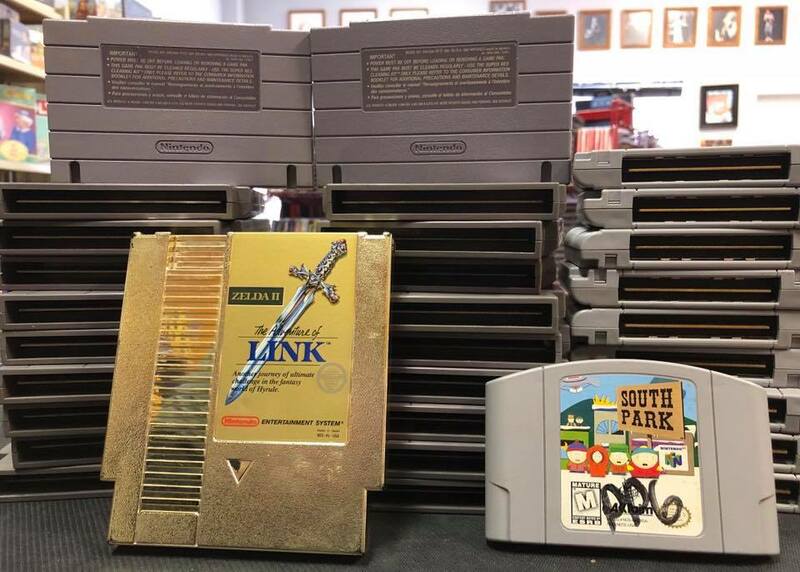 I pondered whether this is what drives Minneapolis’s love affair with board games as I perused the store’s assortment one final time before landing on a couple decks of Keyforge, the Adventure Zone comic book, and of course a Luke Skywalker action figure. More cold weather is coming, but I look forward to hunkering down again with Heroic Goods and Games. When Zach’s not writing for Twin Cities Geek, he’s playing through the latest video game, board gaming, or trying to get Mark Hamill to favorite his tweets. You can follow him on Twitter or LinkedIn.